Hello again! We hope you are enjoying reading our posts as much as we are enjoying writing them! This blog post is all about how to get hairy! I've recently become obsessed with having healthy lashes. I have pretty long lashes, however they are prone to falling out when I am too rough taking my eye makeup off. I also have pretty nice brows that don't require all that much maintenance to look well groomed. That being said, I recently had an unfortunate incident with a tweezer- happy lady at Fantastic Sams, and what I'll refer to as the "fake eyelash glue ripped all my lashes out" incident. So, I've been lacking in the hairy area. I am mesmerized by the claims of such products as Latisse, which is upwards of $100. There is no way my budget will allow for that, nor would I dish out that type of money for my lashes unless I lost them to cancer or something. I picked up some Physicians Formula 2-in-1 Lash Boosting Eyeliner + Serum in their clear shade. Description.Lash Boosting complex targets the root of lashes where it is most effective in providing nutrients associated with growing long, thick lashes. Innovative and easy to use eyelining tool delivers effortless definition. High-tech Japanese formula is long-wearing, water-resistant and smudge-resistant. Directions.Apply eyeliner at the base of lashes in a fine or bold line. Never apply eyeliner inside the lash line. Keep cap tightly closed to prevent formula from drying out. I know with products like these, you have to use them for a few weeks to really see much of a difference. I probably stuck with this for about a week, and it was okay. Nothing special. It was hard to get the twist up applicator to squeeze any liquid on to the brush, and when it did, it was so fast drying I couldn't really tell if I got it in the right places. So...I gave it up. The good news, is I found a much cheaper and better alternative for $1!!! 1. Put a coat on your eyelashes before you go to bed. Lots of people swear by this - and say it will make your lashes grow longer and thicker over time. 2. Put a coat of Vaseline on your feet at night, cover them with socks and wake up to softer feet - every day! 3. Put Vaseline on your elbows every day - they will stay soft! 8. Melt Vaseline and one chocolate chip in the microwave, mix and let resolidify for chocolate lip gloss! 44. Make your week old nail polish look new again - rub a small dab over the polish. Once you carve your Halloween pumpkin, rub Vaseline on the exposed edges. it keeps it from rotting or going dry. Hello all, this is Jessica. 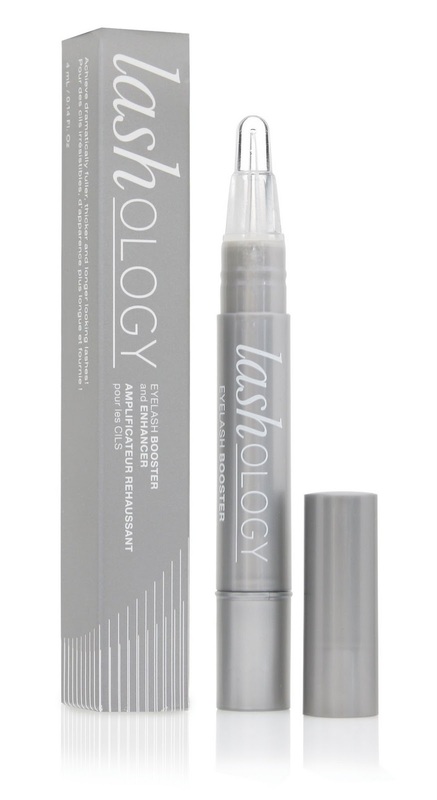 Here is what I am currently trying: Lashology Eyelash Booster and Enhancer. This had been sold on HSN for $26.90, but I got it at TJ Maxx for $10. I used it a few times and then forgot I had it, so now I'm on a mission to begin using it daily to bring you guys a future review. So far, the other reviews were mixed, but it seems the people that didn't see a difference reviewed it only after a few days and usually any difference will take weeks. I also have pretty long and full lashes, but of course I always want more and fuller and am hoping to keep what I have! lashes with 7 key ingredients inc. amino acids, multivitamins, conditioners, etc. Suppose to give you longer, thicker, fuller longer looking lashes! We shall see! Stay tuned for my 2 week review!